The Association for Budgeting and Financial Management has awarded Dr. Carol Ebdon the 2018 Paul Posner Pracademic Award, honoring her lifetime achievement in the field. Ebdon is a Regents/Foundation Professor within the School of Public Administration at the University of Nebraska at Omaha (UNO) where she also serves as the MPA Program Chair. In 2004, Ebdon left UNO to work as the Finance Director for the City of Omaha before returning back to UNO in 2009. The Paul Posner Pracademic Award is presented to honor lifetime achievement for significant contributions to the field of budgeting and financial management as both a practitioner and an academic. The award is not given out annually, but when an exemplary candidate is nominated and ultimately approved by the Paul Posner Pracademic Award Committee. Ebdon is the inaugural recipient of the award. Ebdon will be honored at the awards luncheon at the Association’s annual conference in Denver on Friday, Oct. 5, 2018. 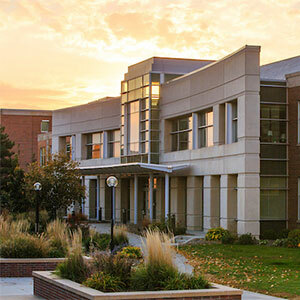 As we look into the future of the School of Public Administration (SPA), we reflect on the many accomplishments throughout the School’s history. 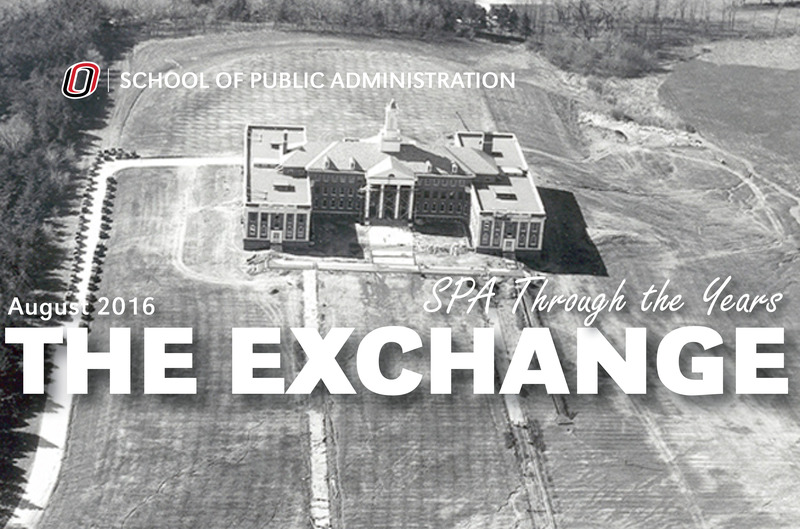 We hope that you enjoy the latest issue of The Exchange: SPA Through the Years. In this issue, you will catch exclusive interviews with Drs. Bob Blair and Chris Reed, along with some priceless throwback photos you’ve got to see! Reminisce on the great times you experienced within the School, and gain a futuristic perspective for the College of Public Affairs and Community Service from Dean John Bartle along the way. We hope you enjoy the read! This year marks the first-ever formal creation of an annual report in the School of Public Administration, which tells the story of our 2015-2016 academic year. One of the highlights from this year are our new and improved rankings from U.S. News and World Report. Our overall ranking scored us a spot in the top 25 programs in the nation, along with concentration-specific rankings in the top 20. These rankings--and many other successes throughout the year--would not be possible without the exceptional work of our talented faculty, staff, and students. We are proud of the work we do and want to share that with those who are invested in our success. We hope you enjoy flipping through the pages of our ever-evolving story. Here’s to many more wonderful years of success! We hope you enjoy the read.